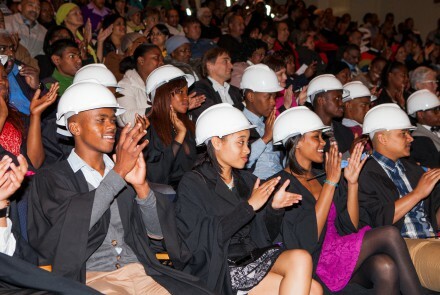 23 January 2017 MEDIA RELEASE: GO FOR GOLD STRIKES GOLD IN GAUTENG Go for Gold was created to improve the number of candidates from disadvantaged. 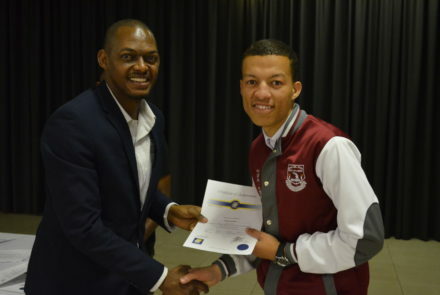 “If the Springboks can bounce back so can you!” This was the powerful message from community development specialist, Sizwe Mxobo an alumnus of the Go. 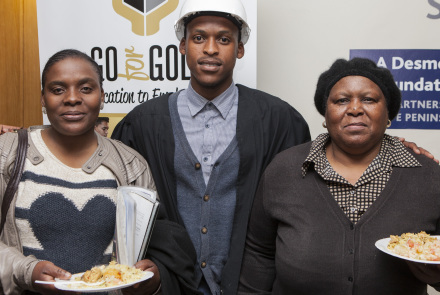 Go for Gold’s award-winning education-to-employment programme has been recognised as one of 120 innovative education programmes by the Bertha Centre for Social Innovation and Entrepreneurship. 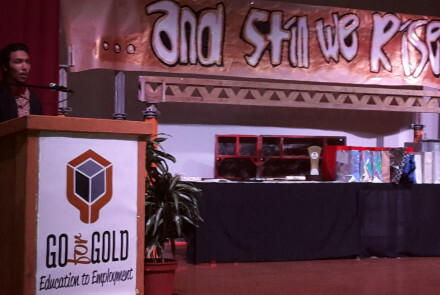 Over 150 learners and students from poor communities across Cape Town, who are part of the Go for Gold Education to Employment programme, took a.